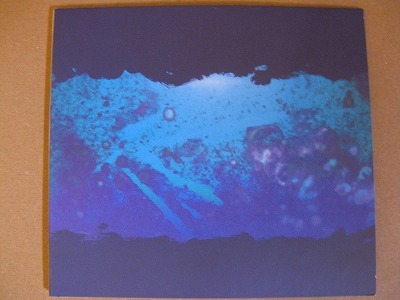 I still have a "New Sea" CD for sale. 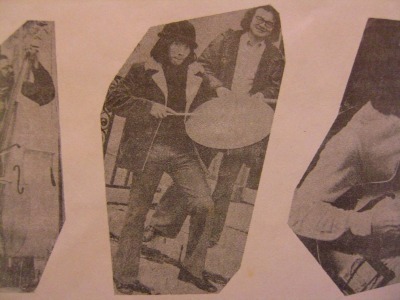 This is an important creative free form jazz document by these three Japanese musicians (Takashi Kako / Mototeru Takagi / Sabu Toyozumi) from 1976. These are unreleased live recordings from this trio mastered from the original cassette tapes. The ensemble performs two pieces titled; "Blue Sea" and "New Sea". I think you will enjoy these great additions to the "sea" history. i had a chance to listen to the "new sea" cd last night and wanted to send you some of my thoughts that you requested. first of all i really enjoyed it. i tried to listen carefully and imagine who i would have guessed the music to be created by if i didn't know the history of these players. right away it reminded me of a 70's jazz approach. the next step of creative players taking ayler, trane and cecil's message to another level. in the 70's i went through a period of intensely listening to "cecil taylor-akisakila" and the "yamashita trio-up to date". the line up (instrumentation) is the same (sax/drums/piano/no bass). i feel like cecil's band influenced this general style and approach to playing? of course i hear some a.a.c.m. influences (especially in sabu's approach) also. as much as i like the "yamashita trio" i feel that sometimes they push the technique side of their playing. often trying to out play cecil rather than to settle down and make music (not always, but that feeling is there for me). "the new sea" recording to me seems highly focused on the improvising at hand/ in the moment. i must admit that i do miss hearing a bass in these bands. but i am biased. in approaching this as openly as possible. i can tell that it's not a.a.c.m. players because of a lack of hearing influences of the blues, gospel and african motifs in the improvising. also there is little sense of a feeling of swing that you get from u.s. players. i also feel that it doesn't sound like early fmp or incus records as they sound more mechanical and push the noise envelope more. so in that sense even though it sounds like 70's jazz to me. it sounds that way in a pure and best sense of the word. the playing is technical but, organic also. i think i would have guessed it to be japanese jazz improvising. and that is meant as a compliment. it has a sense of identity. track one is real interesting. i really dig the bass clarinet playing at the beginning and really like the way the low reed instrument mixes with the overall band sound. sabu is really cool on this piece. his brush playing is sensitive and highly responsive. in fact he seems to play from LISTENING to the other players far more than they do in return. i like how during the duration of the piece he moves from brushes to sticks, then percussion sounds (aacm style a bit) and ends with mallets. the track reveals each players playing style a lot. t. kako approaches his playing openly like cecil. but ultimately doesn't sound like cecil at all. he is delicate and lyrical most of the time. like a totally free bill evans kind of vibe. 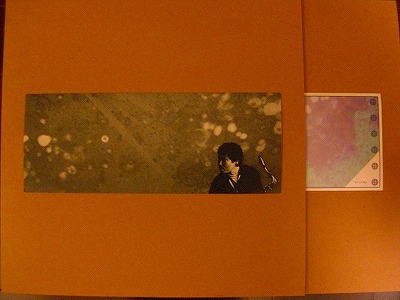 m. takagi always seems to be pushing the noise and avant gaurde style of the music and sound. in fact he never plays lyrically (like some of roscoe mitchell's solos from the era, and a touch of a. ayler too). his style adds the abrasive edge to the music in a very creative way. sabu to my ear is able to listen and be responsive to both players. track 2, the duet with kako and sabu. is real nice. again sabu strikes me as playing responsive and kako is improvising and flowing in his own muse. it is a nice center piece for the disc. track 3, is really cool. i feel that sabu steps out setting the pulse, heartbeat and thrust of the tune. he does some incredible intricate double minded things on this improvisation. the whole band rises up for this piece in a wonderful way. and even though the approach on this reminds me some of cecil taylor and the yamashita trio. the feel of their playing is totally honest, original and musical. i like how the players are thinking and feeling the music they are making. it's a great ride. "An extremely heavy archival recording. This is Japanese free music at its height. Clean and crisp with the musicians finishing each others ideas and phrases. Piano, percussion and saxophone at a high level of energy, but no unnecessary sounds. In fact, all sounds played were very necessary. This will be among the best recordings of 2012." *limited edition 90 copies only! 3 different covers, 30 copies each! *Please tell me which cover you want. *You can order the limited edition if you ordered 2 different covers of regular issue. 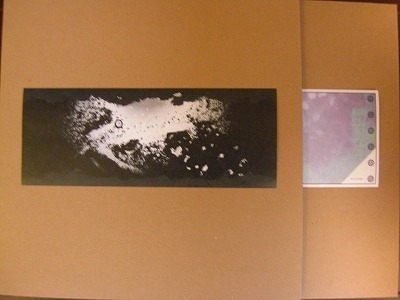 1LP for US = $15.00 by regular registered airmail. 1LP for US = $20.00 by EMS(Express Mail Service). 1CD for US = $8.00 by regular registered airmail. 1CD for US = $15.00 by EMS(Express Mail Service). Payment; Foreign country is PayPal only.